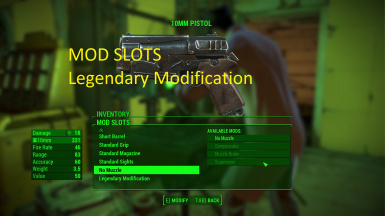 Remove old version from "all profile"
Q: Does this mod make everything able to become legendary? A: No, it depend on the armor/clothes or weapon. 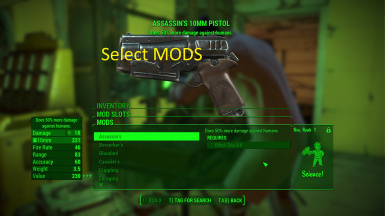 Q: Does it work with other armor mod? A: Yes, it doesn't makes change to any armor and this file is not an armor mod. 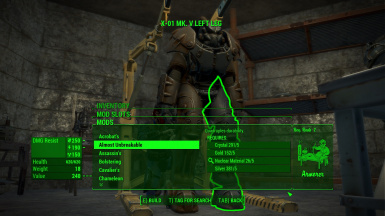 A: Some mod have restriction, the right part of armor will make it show as it was intended for that piece by the game. 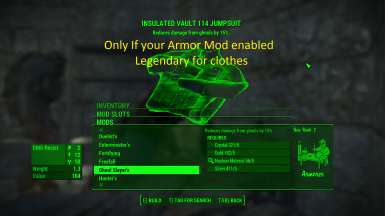 A: You are using a Armor mod that doesn't ENABLE the legendary attribute with their armor. 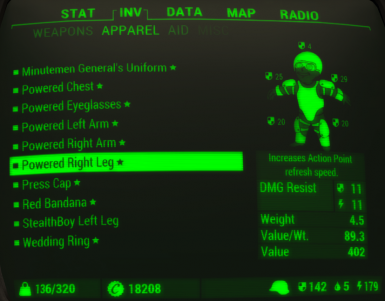 I cannot fix it, for it is their Armor MOD. 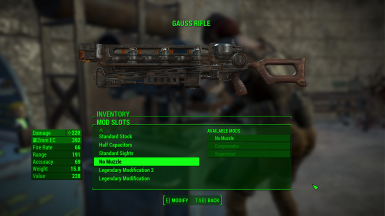 Q: How do I move the legendary to another weapon? Q: Where is Effect Chip? Q: The workbench menu is not showing up!?! Q: How many mod do you have active? 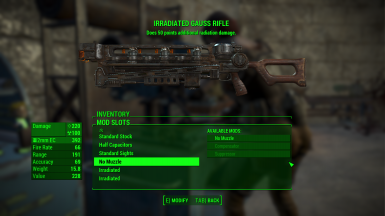 I have over 40+ mods and it take a while for the game to "background" load it to appear, so just wait for the workbench to load it up. This apply to all of your other mod too. Q: There is a bug! I'm only Human, I also make mistakes. In some rare case it happen with other mod or just you, but i will try my best to fix it. Most of the time it is usually game load order! -Detaching will require scraped legendary materials "Effect Chip"
-Leveling up will unlock legendary modification. -fix remove detach after replacing in "Trade In"
-remove effect chip from "misc mod item"